Today we’d like to introduce you to Brooke Wilton. Brooke, can you briefly walk us through your story – how you started and how you got to where you are today. 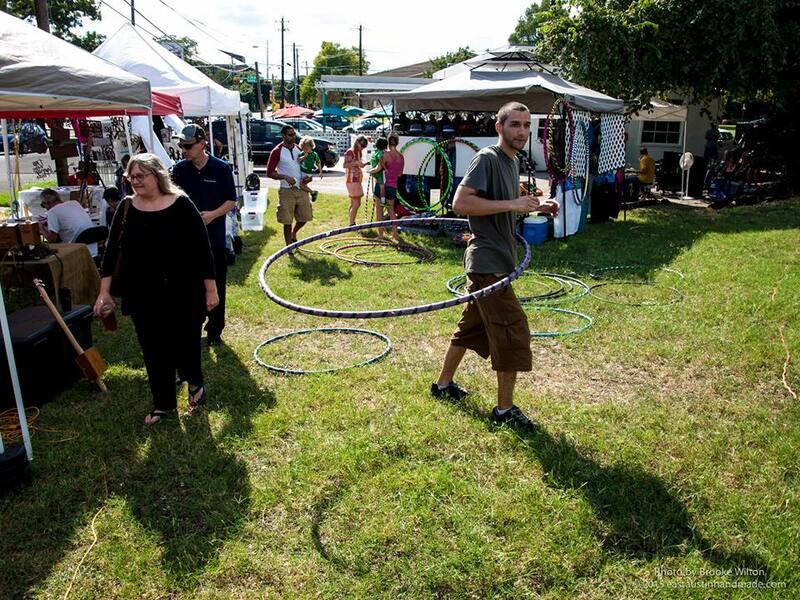 East Austin Handmade Arts Market is a partnership between local artists, musicians and businesses to provide unique, fun and free events in our community. I founded the market in February of 2014 because I am an entrepreneur. My own business is Flameless Shirt (I create locally handmade apparel of the highest quality in unique designs found nowhere else) and have been selling my wares online and at various pop-up arts markets/art fairs around town since 2010, mostly up until this point, in the trendy SoCo area of Austin, because it gets a lot of tourist foot-traffic. But I decided that SoCo was getting too dense, which brings with it too much difficulty in terms of traffic, parking, etc. I could see that East Austin was much more supportive of the arts in general in Austin (with the East Austin Studio Tour, tons of murals, lots of “lawn art” in residential neighborhoods, etc). And, I could see that in areas like along Manor Road just East of IH35 a lot of bars and restaurants were sprouting up, which also brought a lot of foot traffic to the area. So, we started out setting up our pop-up market in the parking lot of a local bar every weekend. But the venue, which had formed this partnership with us in order to sell beverages to our customers, wasn’t getting enough business inside, so although we sacrificed our visibility to the street traffic, we moved inside the venue gate, and started to do our events monthly instead of weekly, so that we could promote them effectively and not just rely on foot traffic. And also being a musician active within the Austin music scene, I started booking bands to be a draw for these events, and also to provide entertainment. And this has now grown to where I am producing a number of fairly large art and music events around town. I just finished producing two events during SXSW that had 10 bands and a DJ booked for each, as well as our usual retinue of hand-made vendors. 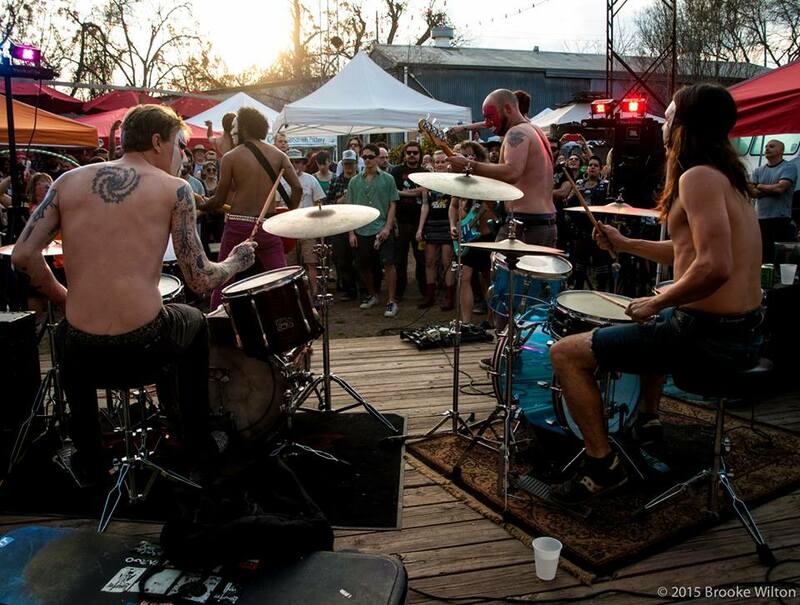 And all of these events have remained free admission to the public and feature acts that have typically been under-recognized within the Austin music community. The goal is to create a regular art and music scene to help people make a living through the arts. 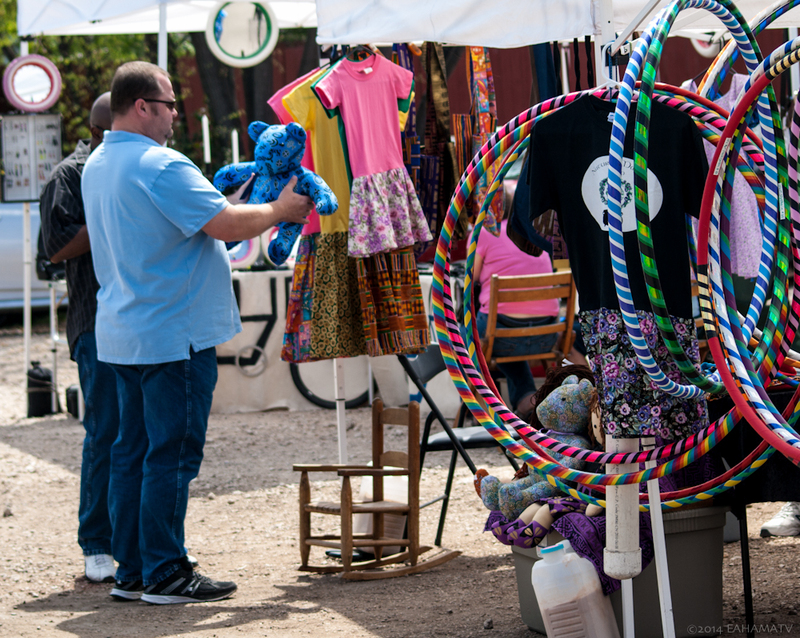 East Austin Handmade Arts Market typically runs on a break-even basis in this regard. 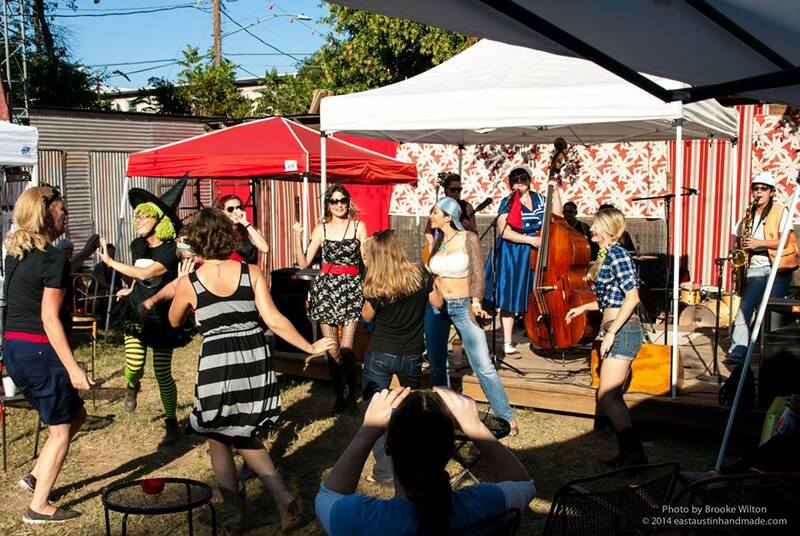 Our winter event Yule Bazaar has been recognized as one of the best holiday happenings in Austin now. 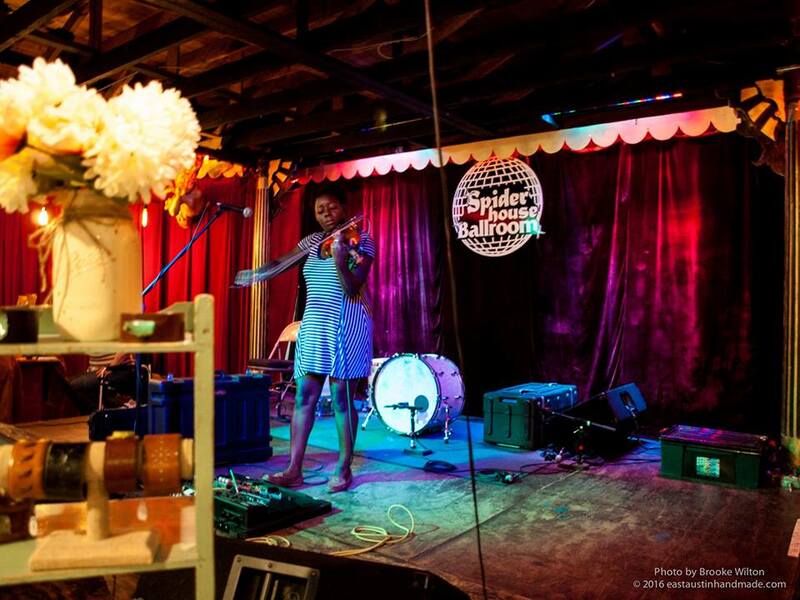 And for nearly a year now, I have begun to book bands for local clubs under the auspices of Third Sat From The Sun, Progressive music every 3rd Saturday of the month, another regular free admission platform for under-recognized music in Austin. We have faced many challenges along the way. Venues (typically bars and restaurants, but also art warehouses and such) come and go in this town all the time, and this changes our location and availability. Sometimes a venue moves completely or goes under and sometimes they become too successful and don’t have room or the need for us any longer. And though we have a lot of artists on our list who may participate in any of our events, we have to work within their schedule as well. And, we always face challenges in promoting each event to make sure that enough folks come out to make it successful. Each event has 3 main goals and for it to be successful, it needs to fire on all cylinders: It needs to be successful for the venue, which is usually in bar/food sales. It needs to be successful for the bands. They need to have an audience to play for and need to get paid for entertaining our guests. And, the hand-made artists who participate (of which I am one) need to have enough sales to make it worthwhile because this is how we make our living. Since we do not charge admission, our funding comes from the artists. Each artist pays a “booth fee” to participate, hoping that they will make enough sales of their wares to offset this cost of doing business. Ours is the lowest for any regular art market in town. This, in turn, is how we pay the venue (if they require rent from us for space), the bands, the sound engineer and PA rental, and for promotion in the form of poster/handbill printing, email missives, online advertising, etc. I personally design all of the posters and website, manage the facebook page, etc. We are subject to unforeseen circumstances as well. The weather is a major factor, since we are often outside, and even if we are not, any kind of iffy weather can deter people from leaving their house. I have personally had high wind conditions kill a number of my pop-up tents, sometimes with me in it. Luckily, my wares are pretty resilient and no one has been injured by this kind of catastrophe, but it happens. I haven’t had any tents go Mary Poppins on me, because I insist that all my artists use weights and/or stakes, but I’ve seen it happen at other events. Artist disputes happen from time to time as well. Any time you are getting a large group of individuals together for any endeavor there are bound to be things that come to a head, but since people see that we are always trying to find the win-win for everyone, this is infrequent and usually easily resolved, one way or the other. Alright – so let’s talk business. 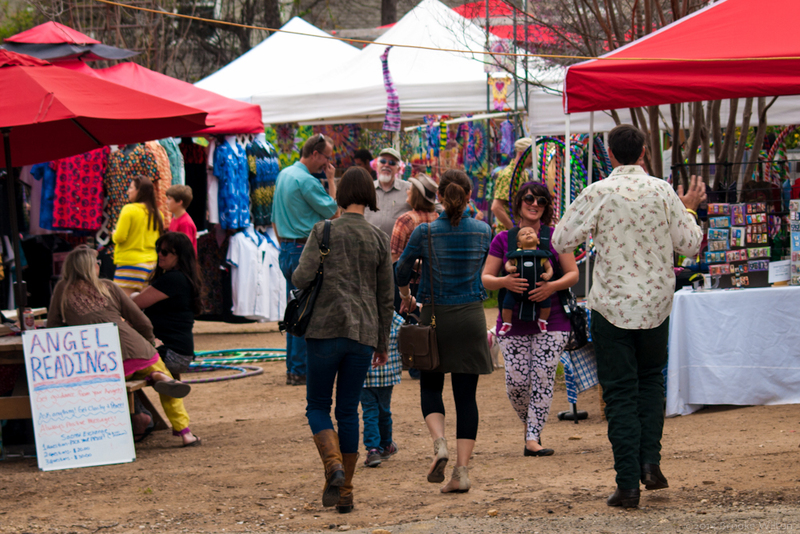 Tell us about East Austn Handmade Arts Market – what should we know? 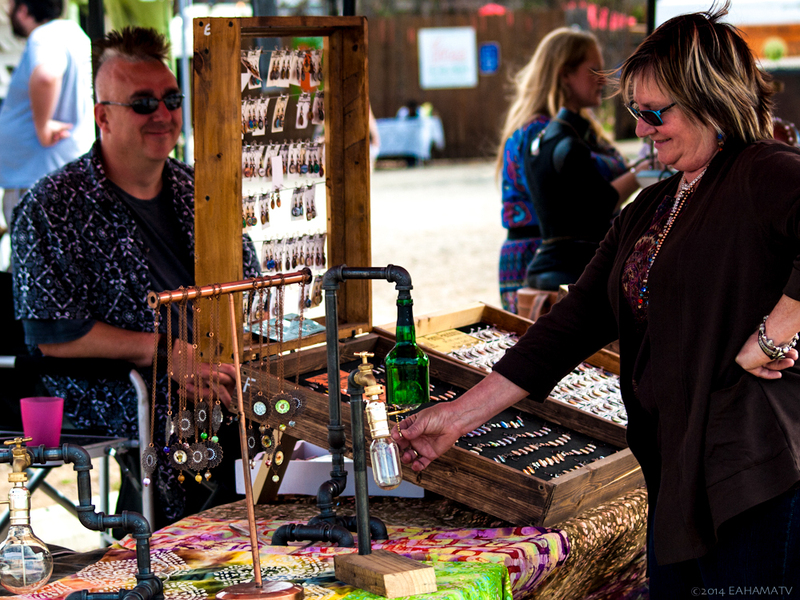 We are known for producing very high-quality events, with a large selection of different hand-made artists selling their wares and an eclectic bunch of musicians that defy expectations in keeping it fun and entertaining for everyone, free of cost. 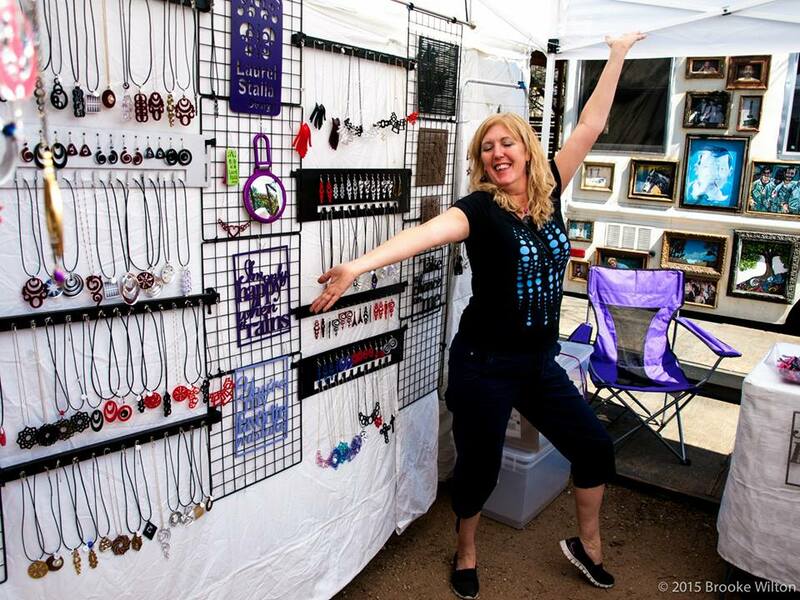 Because it is founded and organized by working artist/musicians, we create a uniquely Austin shopping and recreational experience that is family friendly and far beyond any other art market in town. 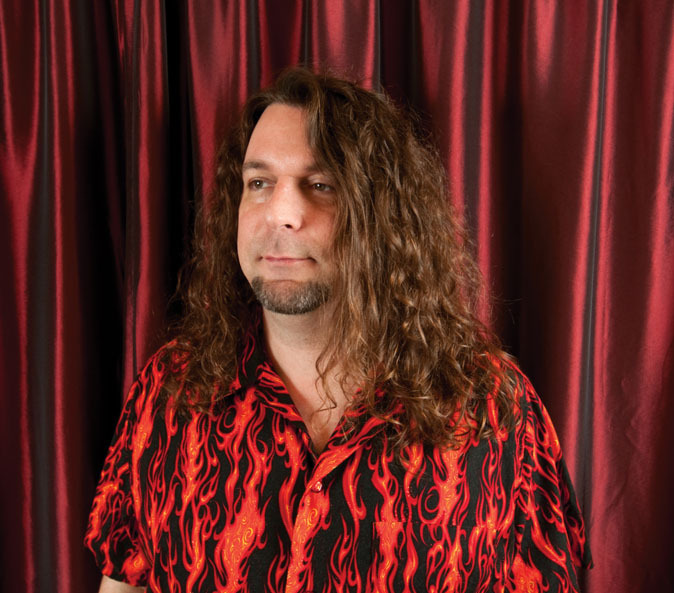 Cedar Stevens has been my occasional co-producer and constant companion on these events. Even though she does not have the time to help out with the bulk of our regular events, she is still the one I run all of my ideas by. She began Yule Bazaar 8 years ago, which was the inspiration for EAHAM and we then took over Yule Bazaar with her blessing. She still helps to co-produce it when she can. Sharon Arthur has been my sound engineer/stage manager for almost all of my events since we started including bands. Her professionalism and pro-active sensibilities have proven invaluable to pulling anything like this off on the shoestring budget we have.